Robert focuses his practice on commercial real estate transactions including financings and securitizations, acquisitions and sales, joint ventures, real estate development and management, leasing and loan workouts. He regularly represents lenders and borrowers in structuring and negotiating mortgage loans, mezzanine loans, construction loans and unsecured credit facilities. Robert also acts as bond counsel on development transactions. He structures secured transactions including sales of single and multiple-tier participation interests in mortgage loans. Robert counsels lenders and borrowers in the financing of office, hotel, residential, shopping center, factory outlet, warehousing, loft and multi-use properties, and in connection with varied credit facilities. 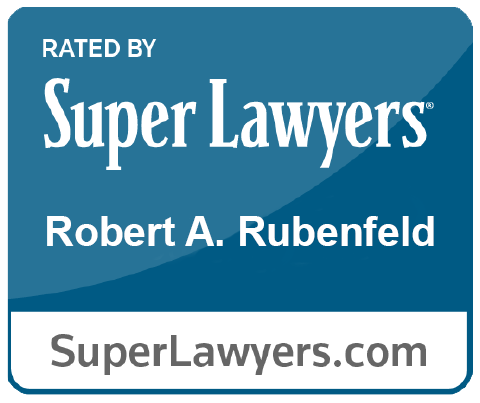 In addition, Robert provides all legal services in the purchase or sale of offices, hotels and resorts, residences (cooperatives and condominiums; houses; timeshares; rentals), and shopping centers. As legal advisor to numerous real estate entities, from well-known enterprises to select, proprietary interests, as well as to brokers and tenants, Robert actively oversees operational issues, outside experts and handles real estate related litigation at all levels. His knowledge and hands-on experience in representing any interest in essentially any type of real estate transaction are greatly valued by his clients. Prior to joining Barton, Robert was the Chair of The Real Estate Department at Eaton & Van Winkle LLP. Counsel to purchaser and eventual seller of One Times Square, New York City, New York USA (the building on which the New Year’s ball drops each year). Creation of lease forms for commercial buildings, and one renowned retailer’s form of mall/shopping center lease used nationally. Attorney for hotel-resort purchasers, including securitized financing and “flag”/franchise agreements. National retail flagship, avenue and outlet leases (example: 2011 completion of a worldwide retailer’s New York City – Madison Avenue flagship store, which opened in 2012). Bond counsel to New York City real estate developer, involving municipal bond financing on new residential buildings projects. Representation of a European sovereign entity on its consulate, located near the United Nations in New York City, New York. Representation of a “white knight” in renowned New York newspaper bankruptcy-reorganization proceeding. In-court representation of a New York City property (hotel) owner contesting a major redevelopment act. Representation of a hotel on its negotiation of initial labor union contract. Counsel on the initial mortgage-backed securities transaction in the United States, and then, coincidentally represented another borrower which became part of the first “pooled” certificate in the United States following the 2007-2008 recession.